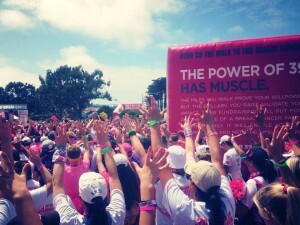 This month, the Avon 39 challenge brought together thousands of women for a 39-mile walk over 2 days between San Francisco and Corte Madera – all to support the fight against breast cancer. 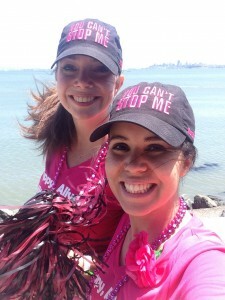 For Marina and Rebecca, this challenge was also an opportunity to promote the importance of a healthy body. Passionate about healthy eating and exercise being key elements in both prevention and recovery, they saw LeBootCamp as the ideal sponsor for this challenge. We crossed the finish line after 90052 steps and more than 13 hours of walking over 2 days! The adventure may appear to be over, but it will remain inside of us forever. The experience was unique and life-changing. We were 2000 walkers, gathered together for the same cause and each of us has helped raise a total of 4.6 million dollars for breast cancer! Several grants have already been awarded for screening programs, support for disadvantaged women, but particularly for research on the prevention and the fight against this painful disease. We walked these 39 miles alongside 250 women survivors who also participated in the challenge – it doesn’t get stronger than that! The sense of community between the walkers, supporters and volunteers was absolutely amazing. Our aching bodies, blisters, and sunburns completely faded away against that backdrop! Once again, thanks for your support! Thank you for enabling us to make our mark in this fight. Thank you for supporting this cause. We have dedicated our walk to all survivors, to all those who are still fighting, and to all those who were unfortunately lost in this difficult battle. 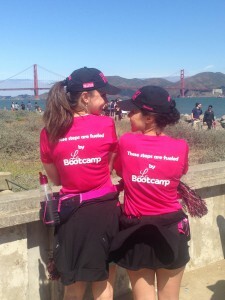 We thought about you throughout the journey, and we were extremely proud to wear LeBootCamp for these two days! (Besides, our T-shirts made us so popular, we earned the nickname “French coaches” or “Frenchies”). Next year there’s got to be a LeBootCamp team! The power of 39 is in us! 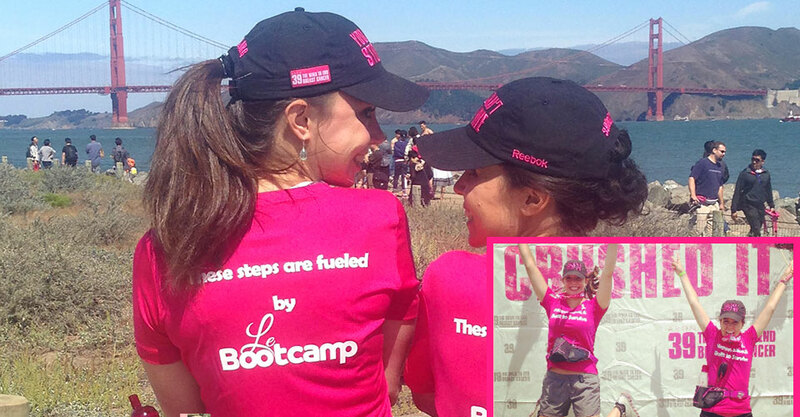 Kudos to Marina and Rebecca for this incredible initiative, for your dedication, and for representing LeBootCamp so beautifully. Feel free to share your experiences and fitness challenges on our LeBootCamp group and my Facebook fanpage! Such a beautiful story, thanks for sharing and supporting!